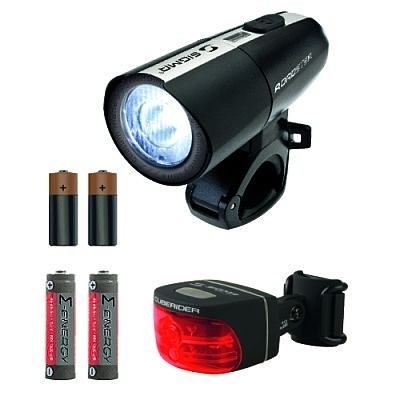 Product information "Sigma Light set Roadster / Cuberider"
With five red high power LEDs plus the tried and true 220° visible angle beam, you cannot be overlooked with the CUBERIDER Black. The low battery indicator ensures that you are never left out in the dark. Related links to "Sigma Light set Roadster / Cuberider"
Customer evaluation for "Sigma Light set Roadster / Cuberider"